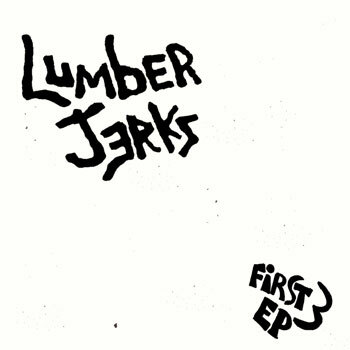 The Lumber Jerks – First Three E.P. As you might expect, there are three full tracks. All of which are fast paced punk rock. The songs are sweet and short and chock full of the fervor that is rarely found outside of youthful three piece combos. Not coincidentally, The Lumber Jerks are such a combo. If I were to try to compare the sounds being kicked down by this EP, I’d mash it up somewhere around 7 Seconds, Newbomb Turks and The Humbers. It’s a great effect. You should check it out. I guess the fellas recorded on full analog reel to reel. That’s pretty sweet. As much as I’m a proponent of the modern digital studio, there’s something just so straight up badass about rocking the analog. Of course, I’m listening to mp3s on half good PC speakers, so a lot of that is likely falling on deaf ears. Anyways, here’s some brand new fresh faced punk rocks for you all to get your grubby little hands on.